Caribbean countries facing increasing fuel costs, inescapable transportation constraints and relatively high electricity prices are looking to the sun for answers. They hope a new Caribbean coalition, led by some of the world’s clean energy heavyweights and bankrolled, in part, by international lending institutions will channel $6 billion to transition the region to renewable energy. 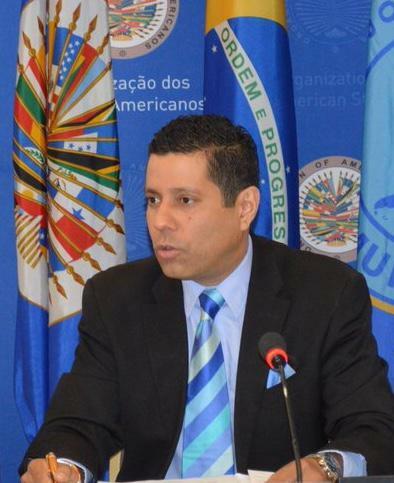 Former Ambassador of Trinidad and Tobago to the U.S., Neil Parsan, founder of advisory firm Parsan Cross, is one of those driving the new Caribbean Climate-Smart Accelerator a collection of 27 countries and 40 global companies launched in August 2018 to help fund renewable energy projects in the Caribbean. Parsan is the director of public sector engagement for the organization. The Accelerator was born out of French President Emmanuel Macron’s One Planet Summit where the Inter-Development Bank committed $1 billion for clean energy projects across a region severely hurt by several hurricane seasons on islands already in financial difficulties. “Timing of all of this is not coincidental,” Parsan said. After the storms of 2017, Prime Ministers Roosevelt Skerrit of Dominica, Keith Mitchell of Grenada, Allen Chastanet of Saint Lucia and Virgin Group Founder Sir Richard Branson reached out to many philanthropists and Macron for help. In 2004, Hurricane Ivan destroyed Grenada costing $900 million in damage, more than twice the country’s GDP. Another storm hit in 2005. Islands that were already indebted from the storms felt the effects of the financial crisis of 2008. Then came another series of storms. In 2017, Antigua and Barbuda were decimated. Parsan said the Accelerator’s goal is to promote energy security and resilience amid a growing number of destructive weather events. Ironically, Parsan’s home country is one that is not transitioning to renewables. Trinidad and Tobago is one of the wealthiest islands in the region, and its electricity is generated entirely by natural gas. The country produces and exports natural gas and houses one of the largest natural gas processing facilities in the Western hemisphere. But not all countries in the region have that luxury. Imported diesel costs Jamaica $2.7 billion a year. In Jamaica, as on most islands in the region, diesel is the primary source of electricity. This fall, Prime Minister Andrew Holness announced his intention to change that. In an event announcing the installation of solar energy technology on his official state residence, Holness said Jamaica’s energy security is at stake. “Small island developing states are usually vulnerable to oil price movements and energy shocks,” he said. Holness wants renewables to generate 50% of the island’s electricity by 2030. “It takes leadership. It takes the leaders of the countries to bring this awareness to their people,” he said. He hopes to make investors and technology companies aware, too, that Jamaica and its electricity sector are open for business. Prime Minister Holness helped host the Accelerator’s first meeting in Jamaica. As global diesel demand, and in turn prices, skyrocket, Holness worries Jamaica’s poorest citizens will bear the cost of an already pricey commodity. Jamaicans now pay about 42 cents/kWh of electricity. By contrast, Trinidad pays about 7 cents per kWh for its electricity, and Americans pay about 12 cents per kWh on average according to the U.S. Energy Department’s Energy Information Administration. Several factors--fuel diversity, commodity prices, American production, regulatory structures-- contribute to relatively low, stable U.S. power prices. Solar Head of State is trying to expand the use of solar energy globally by driving heads of state to install solar panels or technology on their official residences. Holness said renewable energy expansion could create jobs, which theoretically would help citizens afford electric power and reduce electricity theft and energy poverty. “If Jamaica does it, and they’re successful doing it, it will encourage regionalization and aggregation of the idea,” Parsan said. Jamaica isn’t starting from zero. Its Ministry of Science, Energy and Technology says it has already attracted renewable energy projects, including some funded by the The Clinton Climate Initiative. At the moment, the group is looking to facilitate 10 multi-country, scalable projects. “Additionally, over the next five years, we’ll look at five major transformative projects that would transform the economies while offering permanent solutions to the climate crisis,” Parsan said. Parsan says the regulatory work needs to happen in each country to encourage the private sector to make investors feel more secure. “A big part of [this regional effort] is the regulatory framework that will create the right enabling environment to attract the right type of investments,” he said. “I’m of the view there’s no shortage of money out there but there is shortage of mature, bankable projects,” Parsan said. For many countries that cannot borrow or get traditional financing, Parsan said his group could consider innovative financing models such as blended finance that ensures access to affordable capital and new sources of funding. “We will be looking primarily at resilient infrastructure, renewal energy and energy efficiency projects and electrical vehicles in the early stages to move the climate-smart agenda forward for the Caribbean,” Parsan said.